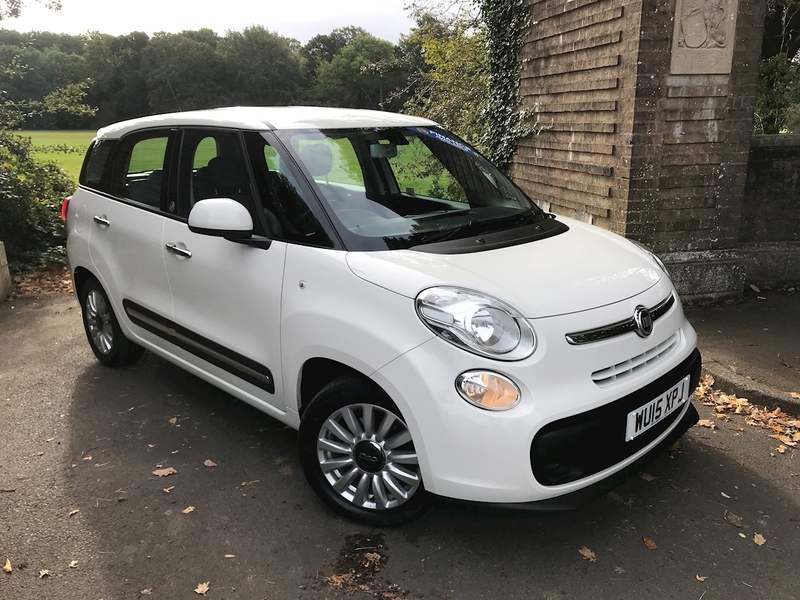 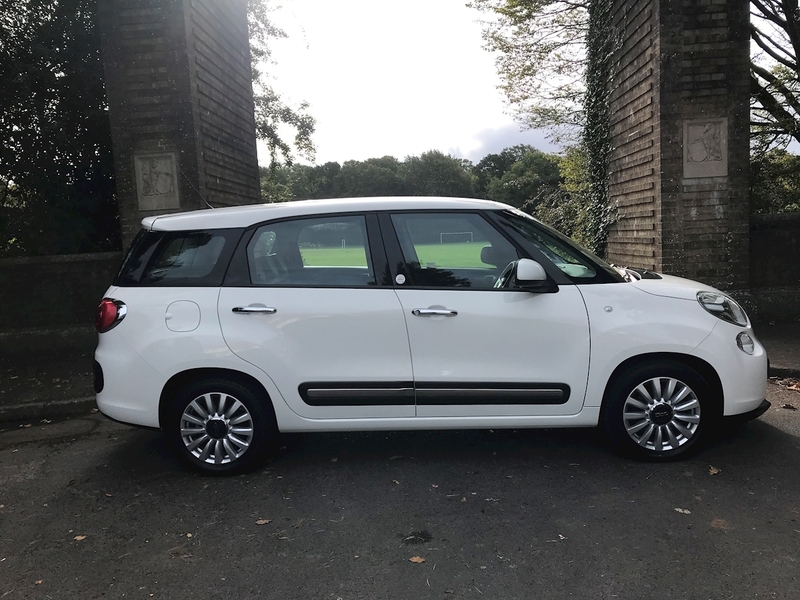 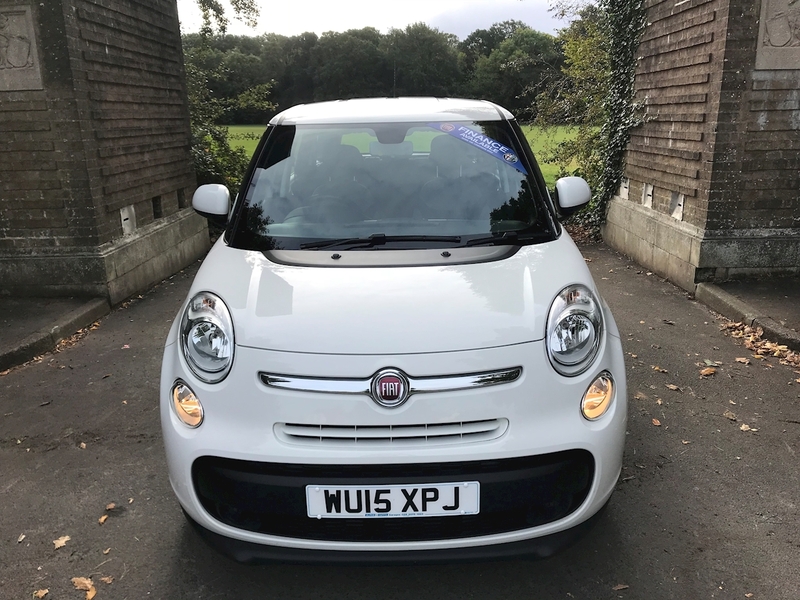 This Fiat 500L PopStar looks fabulous in white with contrasting charcoal seats with a 1.3 Litre Diesel engine boasts 85BHP. It has a CD player and DAB radio with Bluetooth phone and music connectivity, cruise control, speed limiter. For your convenience this car also has an air-conditioned glovebox to keep the drinks and sandwiches cold, electric front windows and electric heated door mirrors. 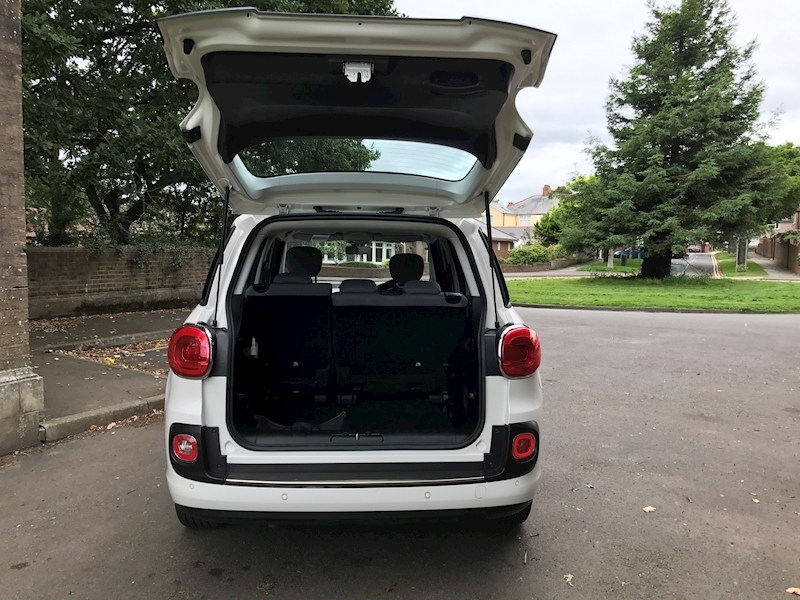 In the boot it has low loading and height adjustment with a secret compartment, also has remote central locking and engine immobiliser too. 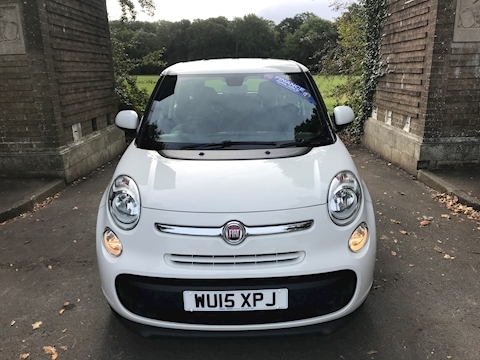 For your comfort it comes with 5 seats, all with head restraints and plenty of legroom both front and rear. The rear seats fold 60/40, Height adjustable driver’s seat and height adjustable leather steering wheel with radio controls and leather gear knob, Isofix child seat attachments, 3x3 point seatbelts for 5 people. 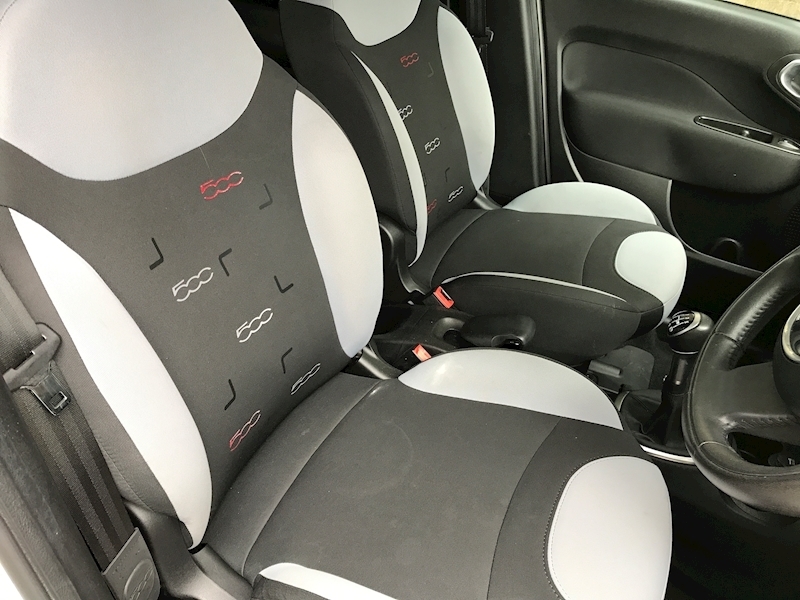 Driver and passenger airbags with side and head protection. 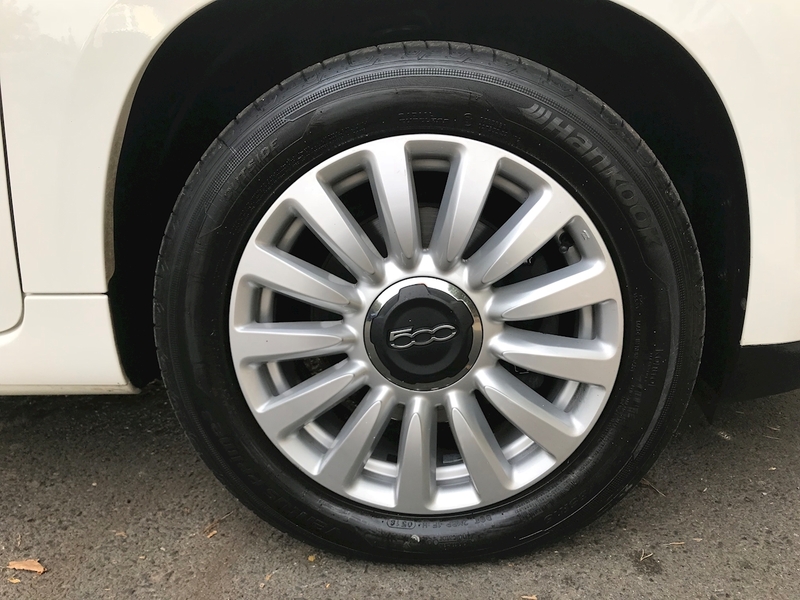 ABS and traction control, ESP/ASR/MSR and an automatic hill holder so you don't roll backwards on a hill start. 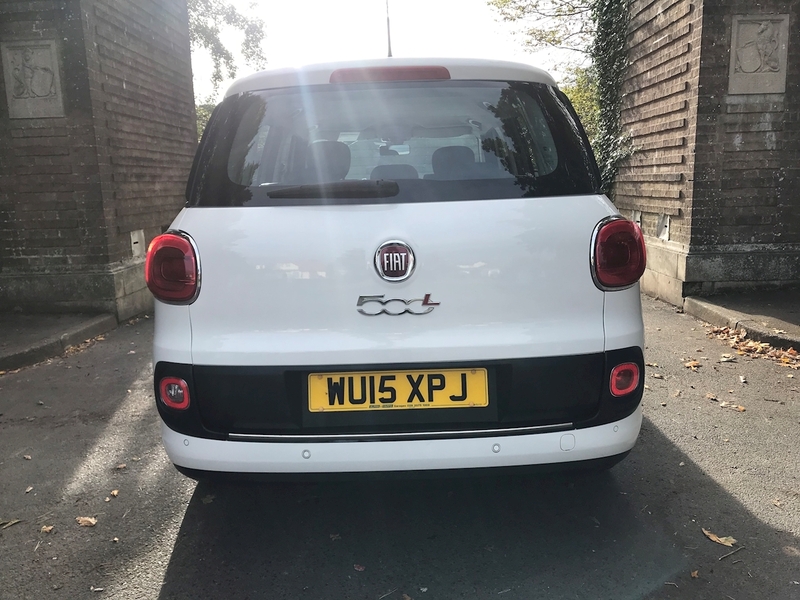 Road Tax for only £20.